Western Digital’s 6TB USB Hard Drive: Is Bigger Better? The WD My Book Studio Edition II USB hard drive is bringing a whopping 6TB worth of storage to the table! Sounds like a young professional’s dreams come true, but is it really? Apparently targeted at Mac users, this device does hold a huge amount of information, but is it really worth a $549.99 price tag? At first glance, this 6TB hard drive does look really ideal for people who are working in art and design, photography, and legal and medical professions. However, when we get to the real bones of the device, it is obvious that this thing is going to take forever to transfer information as compared to other alternatives. True, there are four interfaces incorporated in the Western Digital 6TB USB hard drive. It uses eSATA, Firewire 400/800 and a USB 2.0 interface, apparently to offer a combination of flexibility and speed. Yet, there are now faster and better ways to achieve this goal. It seems it is about time that USB 3.0 becomes not only an option with this hard drive, but a mainstream standard. And, an Ethernet connection wouldn’t hurt either. Part of the answer to these questions could actually have something to do with the fact that the Western Digital 6TB USB hard drive is aimed specifically at Mac enthusiasts. Mac is not yet 3.0 compatible (so let’s get with it already). However, that does not account for the fact that a consumer could easily purchase three 2TB HDDs or two 3TB HDDs for less than this one 6TB hard drive. Same storage, lower price. Another great fear that is harbored is if storing all of one’s information in one place like this is really the smartest move to make. Even with its automatic save, the idea of having all of one’s information protected on a device without a built in fan ought to send out waves of worry in terms of reliability. Most users are not near as concerned with how loud the device is compared to having all of their work protected. The WD My Book Studio Edition II definitely offers space in abundance. There is no doubt that 6TB is really, really big. And so, that brings us back to the age old question, my friends; is bigger really better? This entry was posted in Articles, External Hard Drive, Portable Hard Drive, USB Storage Drives, Western Digital and tagged 6 TB External Hard Drives, 6TB USB Hard Drive, My Book Studio Edition II, USB 2.0 hard drive, USB Hard Drive, WD 6TB USB 2.0 hard drive, WD My Book Studio Edition II, Western Digital, Western Digital 6TB Drive, Western Digital 6TB USB Hard Drive. Bookmark the permalink. 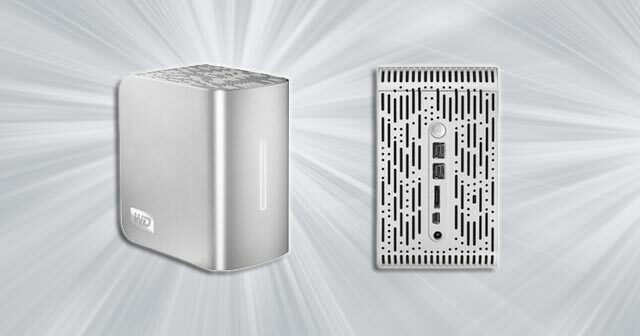 One Response to Western Digital’s 6TB USB Hard Drive: Is Bigger Better? I have a few 2 TB drives hooked up to a “cloud” type device to share media while I am on the road. I would get two of these just so I could share more of my work while I am traveling and have zero worries as this is NOT my primary storage just my “cloud” sharing for while I am mobile. I do think it is great to open my ultra portable laptop and see nearly 7tb of storage on the “my computer” screen. Now I could boost it to nearly 13tb… Humm.